Nervous system disorders ranging from autism, traumatic brain injury, Alzheimer’s and Parkinson’s disease represent just a fraction of the growing number of neurological conditions that are affecting people of all ages in our society today. So much so that Robert Zieve, MD recently wrote in an article called, “Neurological Disorders: The Growing Epidemic of the 21st-Century,” that chronic neurological diseases are fast becoming the debilitating epidemic of our time. Different than the headline grabbing diseases such as cancer and heart disease that frighten us because they are potentially deadly, chronic neurological diseases can destroy our quality of life including our ability to think, be active and relate to other people. They also have the potential to cause chronic pain and suffering that can last for decades and making us a burden to our loved ones which is something that nobody would want. Dr. Zieve also states, “Having a healthy brain and nervous system is vital to being able to think clearly without which our active will lacks intelligent guidance and is weakened”. Your nervous system controls and coordinates the function of every cell, tissue, and organ in your body. Keeping your nervous system healthy as a priority and a part of your lifestyle is essential if you want to be healthy today as well as over the course of your entire lifetime. 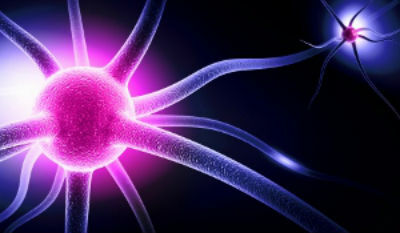 As the master controller, problems in the nervous system can cause or mimic any condition or disease you can name. This includes problems with the heart, lungs, hormones, stomach, intestines, reproductive glands as well as your arms, legs, fingers and toes. For this reason, Chiropractic examinations are more important than ever because they evaluate the health of the spinal column and the nervous system. Spinal subluxations, one such condition that is extremely common in adults and children, can alter the function of your nervous system and affect your health on every level even though it may lie asymptomatic for decades. Waiting until symptoms show up means that your condition has already become chronic by the time you feel it. Don’t let this happen to you. These spinal conditions that affect your nerves can be caused by the birth process, learning to walk as a child, contact sports, stress, sitting too much and environmental toxicity, just to name a few. You can control your exposure to many of these toxins by making healthier nutritional choices and avoiding environmental toxicity whenever possible. Keeping your nervous system healthy with regular chiropractic check-ups can make a difference in your body’s ability to resist and adapt to these toxins. It’s no wonder millions are making chiropractic Lifestyle Care a priority in their family budget. Don’t wait for a crisis to force you to act. Schedule your appointment today.